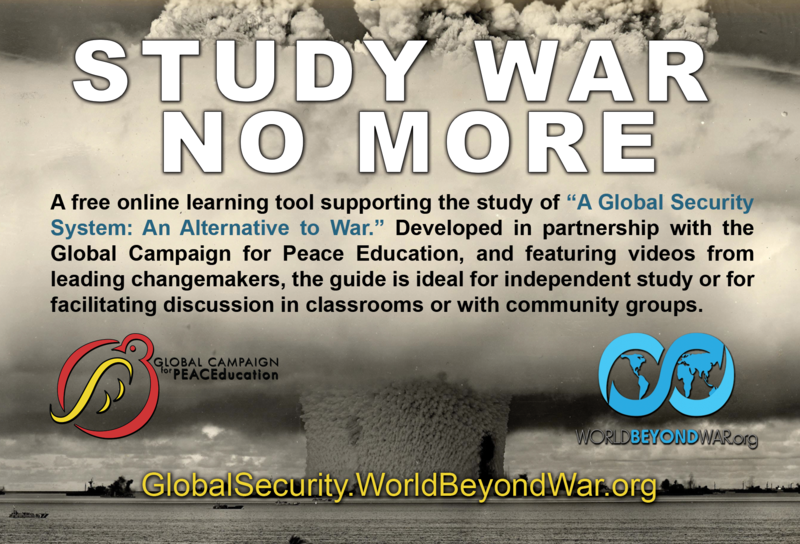 Flyers, Post Cards, Sign Up Sheets - World Beyond War . . .
Click to jump down to . 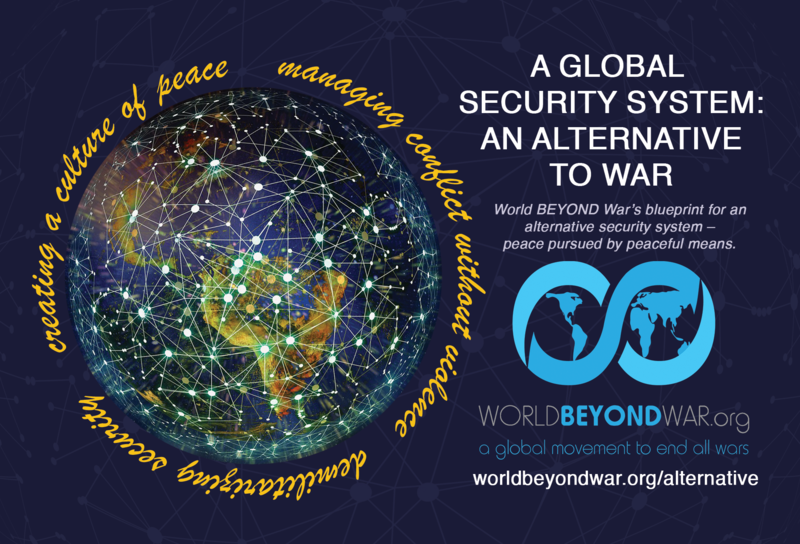 . .
World BEYOND War (three-fold): PDF. U.S. Militarism (one page): PDF. War Threatens Our Environment (one page): PDF. Basic Facts About War (one page): PDF or Docx. Modern Day Wars (one page): PDF or Docx. Intersectionality (one page): PDF or Docx. Debunking Myths (one page): PDF or Docx. Cost of global military spending (half-page): PDF. Cost of U.S. military spending (half-page): PDF. Quiz activity flyer (two pages, answers on third): PDF. Shirts, books, bags (one page): PDF. Social Movements fact sheet (two pages): PDF. Primer Afiche: PDF or Doc. La guerra amenaza nuestro medio ambiente: PDF or Docx. Un Quiz sobre la Guerra ¿Cierto o Falso? : PDF or Doc. Flyer Educacional: PDF or Doc. Volante de Cuatro Paginas: PDF or Doc. Sign-up sheet in English: PDF. Sign-up sheet in Spanish: PDF or Docx. Sign-up sheet in English for WBW events: PDF. Sign-up sheet in English/French/Spanish: PDF or Docx. Sign-up sheet in Japanese thanks to Joseph Essertier: PDF or Docx. World BEYOND War 513 E Main St #1484 Charlottesville VA 22902 USA. THANKS! Postcard front: PDF or JPG. Postcard back: PDF or JPG. 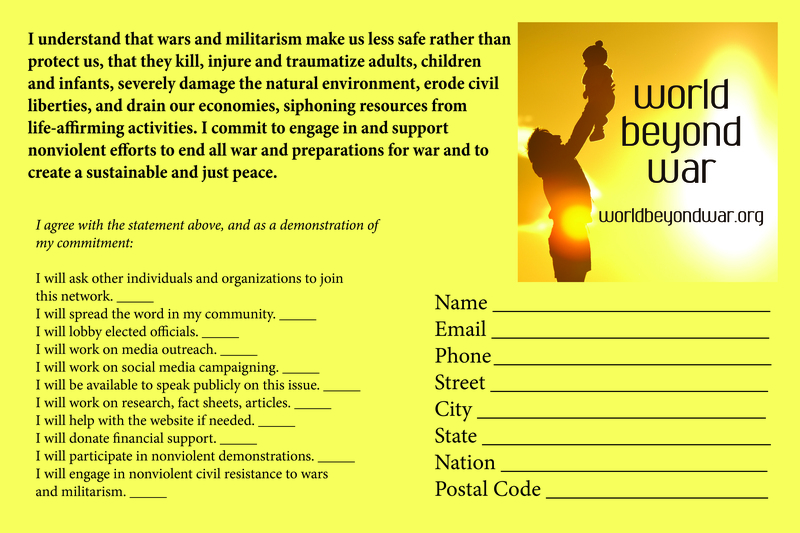 Postcard front with survey question for use at WBW events: PDF. Front and back, four to a 8.5×11 page: PDF. Front and back, two to a 8.5×11 page: PDF. Front and back, one to a 8.5×11 page: PDF. Education Postcard front: PNG, and back: PNG. One-page flyers designed by Ally Hermes, and by Tony Sahara. Merchandise flyer by Patricia Kambitsch. Spanish flyers translated by Juan Gómez.